At the Film Festival’s opening night event, Tillotama was photographed in an Anavila sari. Bag from Chamar and earrings from Faruqui Jewels rounded out the actor’s look. 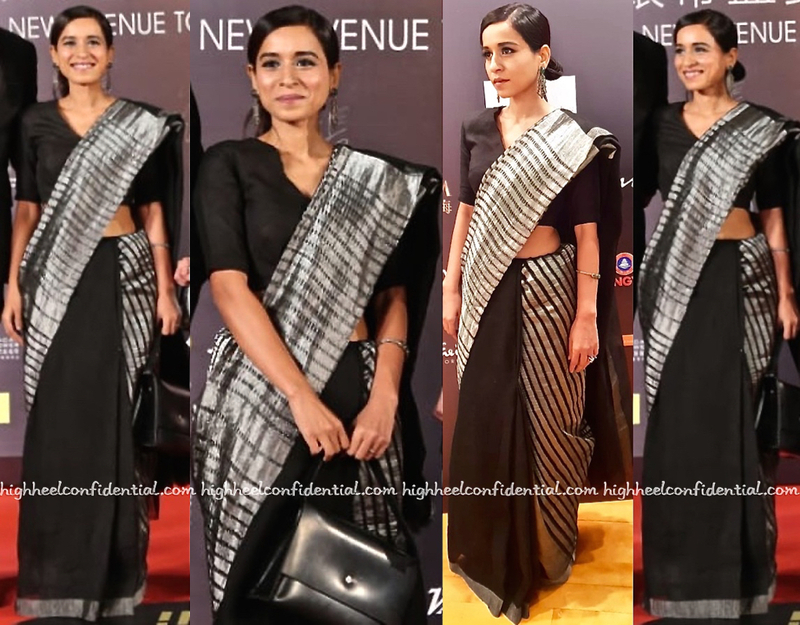 As much as like the sari, the drape itself was bit of a bummer. A more relaxed drape and the look would’ve been so much better! Wearing saris, these lovely ladies attended a Diwali party recently. 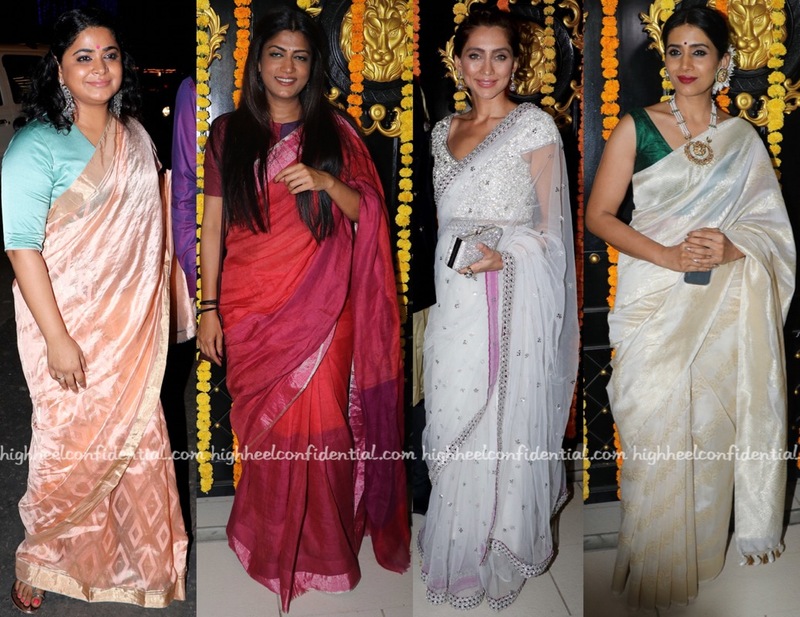 As different as their saris were, they all did wear them well. P.S: Ashwiny is in Raw Mango and Swati in Anavila. 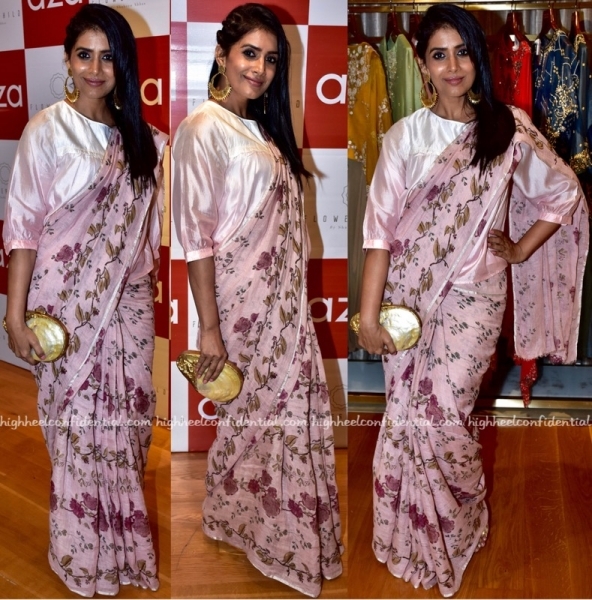 At the jewelry collection unveiling, Sonali was photographed in an Anavila sari. Gold-toned accessories that included Flowerchild jewelry rounded out her look. For Priyanka, it was a black and silver Anavila sari at the Vogue Beauty Awards, one that she wore with a braided updo. Now, the hairdo was quite unconventional but she made it work. Beating the summer heat in linen was Ms. Dhupia while travelling out of the city on Monday and spotted about town on Sunday. Prefer the lime and white combo or the sandy tiered one? P.S. The lime and white combo is Anavila.